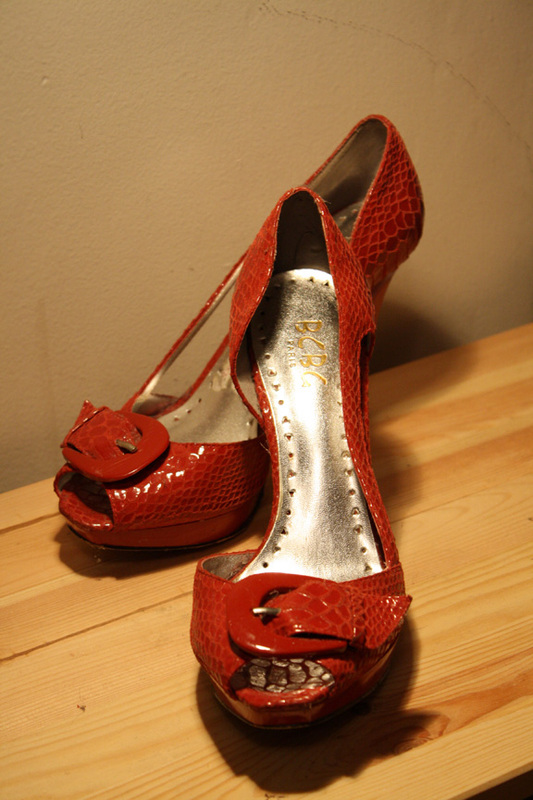 Cherry red, faux snakeskin, pair of BCBG heels up for swaps! 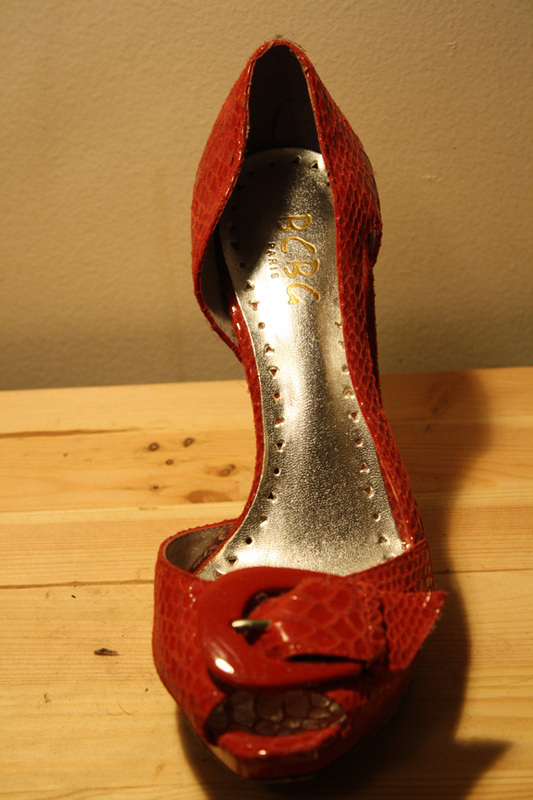 Practically like new-I only wore them 2 times. Take it from me, they inject your style with a pin-up girl like style. 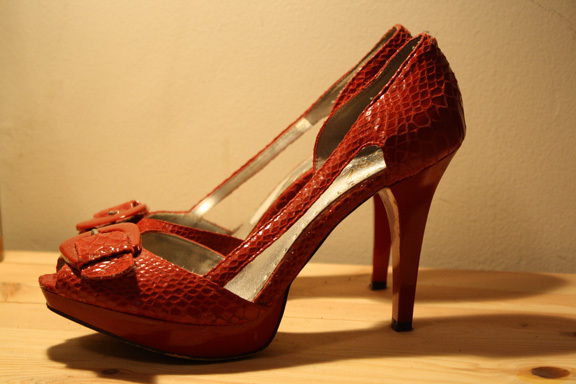 HOT, and madly tall; they'll make you gorgeous and you'll hold your head just a tad higher. They fit a tad too big on me, and sadly we have to part ways. But that's yours fortune! So get in on this swap before its over. Don't have anything to swap? Ok, no problem....just give me $12.00 + cost of shipping. -List your swap proposal in body of the email. No tradebacks allowed. Please read description carefully and ask any questions if you have concerns. Before proposing a swap, it may be helpful to read the HOW-IT-WORKS section.